Last night I got the chance to see the man who wrote my childhood. Emmy and Academy Award nominated Screenwriter David Weiss is the man responsible for such hits as Rugrats (including the movies), Jimmy Neutron: Boy Genius, All Dogs Go to Heaven, Shrek 2, and (my personal favorite) Clockstoppers. I had no idea he was going to be at USC this semester so I left my replica Clockstoppers watch, purchased on the internet for $12 when I was nine years old, at home in Chicago. Listening to him talk was fascinating; he was modest (despite the fact that his movies have grossed almost $2 billion internationally), hilarious, and incredibly insightful all at once. He provided great advice for the aspiring screenwriters in the room, especially about character development and animation. He talked about how some studios assume that animation is easier because there are no boundaries, but that boundaries are actually a good thing. Although David Weiss claims that he’s “not so much an artist as a craftsman,” I think his Q&A proved to be one of the most fascinating ones I’ve attended at the SCA. 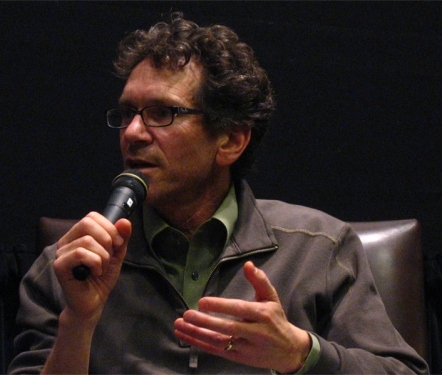 He gave valuable advice that applies to all facets of life; for example, he pointed out that “you can’t be happy if you envy someone else.” Weiss cited Alan Ball as one of his favorite screenwriters and talked about trying to emulate his style instead of focusing on developing his own, and urged us to not be jealous of other screenwriters who have far more experience. Perhaps my favorite piece of advice he shared was an anecdote about developing the themes in Shrek 2. Weiss said that a rabbi had once told him that “love means what’s important to you is important to me,” an essential truth that applies to all facets of life including filmmaking. He explained that the more simple and universal the idea, the more audiences will appreciate it onscreen. Universal goals and desires run rampantly through his work: Charlie, in All Dogs Go to Heaven, a con artist struggling to redeem himself; Chuckie Finster in Rugrats in Paris, whose only wish is to find a mother; and Shrek 2, in which a man just wants to make his wife happy. Clearly simple and universal is the way to go, and how can you not believe David Weiss when you look at his body of work?